Every summer, we do our best to spend at least a few days at the Snyder family cabin along the upper Sacramento River. This year has been hectic -- at best -- and we weren't sure if we were going to make the trip. Busy work schedules, travel plans, weddings, unexpected obligations, events and more can make it tough to keep up the tradition. However, we made it happen and we're so glad we did! The weather was fairly sunny, with a slight breeze and a few thunderstorms thrown in for good measure, which is pretty standard for end-of-summer mountain weather. I always pack layers that can be peeled away once it gets warm enough for a swim. *A note on the Everlane links above: First of all, I have fallen in love with Everlane products. Head to the shop and you'll see why. They also have an incredible rewards program. If you shop through the links in this post, I'll be rewarded in the form of store credit. The best part? Anyone can sign up for their reward program. How cool is that?! Great products + perks for spreading the love = awesome. I hope you're all enjoying the final days of the summer season. I know we're trying to get in as much adventuring as possible. What sort of end-of-summer fun are you all enjoying? 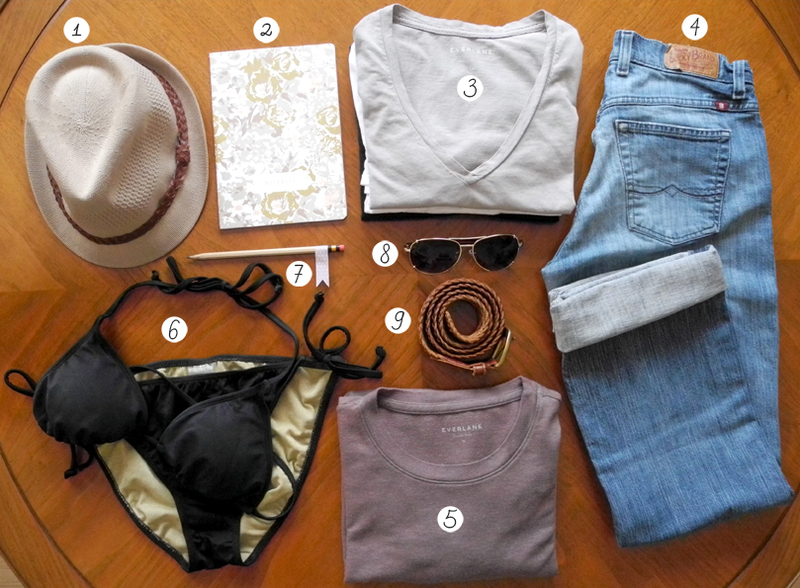 Any packing essentials you can't live without?